In the centre of Malaga we find plenty of bars, for a pleasant stay, a few delicious tapas and drinks. They are ideal places to take a break while visiting the cultural centre of the Costa del Sol. The bars below are some of the best and most valued of Malaga, however due to the large number, we might have missed your favourite bar, if that is the case feel free to contact us or post your recommendations! An American bar in the style of the television series Cheers. Located just opposite the Cathedral of Malaga. A nice place to enjoy a drink in the evening or for a night out. Irish Bar with great capacity. Live Irish music some nights. Variety of tapas at an average price. Online map location and reviews: https://goo.gl/maps/9hfgZyx3RN42 . . If you have information on this bar in Malaga please send it! 952 60 85 34 ? Cosy, not too big, typical tapas, tortilla, fried eggplant with honey, fried fish. Nice treat. 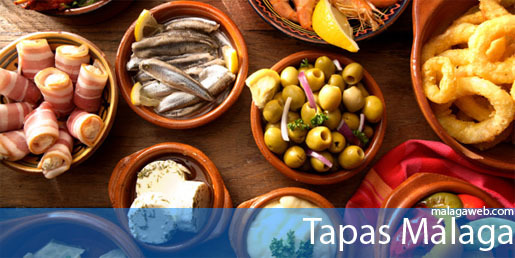 It has a large variety of tapas, with about 60 types and is one of the oldest in Malaga. Good reviews of this homemade tapas bar in downtown Malaga. Large selection of traditional spanish tapas in Malaga since 1967. Specializing in tapas, homemade food and fried fish. Specializing in tapas and modern spanish dishes.